I’ve always been a fan of the Throwback Thursday hashtag (#tbt), so I’ve decided to share some favorite #tbt memories with y’all on Thursdays for the rest of the year. Maybe I’m getting old, but throwbacks of any sort, including my daily Timehop, are things I look forward to now :). To kick off the first post, I drew inspiration from my friends over at TheLadders.com who contacted me to share a first job experience and lessons learned. I’ve always been a working gal, so having the opportunity to share my working gal story was an interesting request to me. I’ve been babysitting since about eleven, started working in retail around fifteen, landed my first internship junior year of college, and then started working at my first “big girl” job part-time while still in school, leaping right in full-time upon graduation. Now I work at a Fortune 200 company and get to connect with you guys here on the side! I managed the Le Creuset account during my first job out of college, so cool! 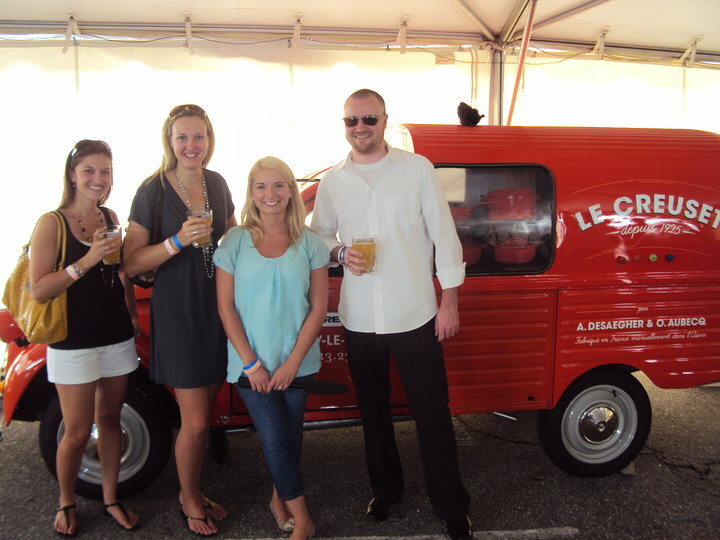 This vintage truckette and I have some very fond and interesting memories together :). I find a lot of confidence in preparation. Looking ahead, keeping an agenda, creating lists. That’s kind of my thing and it helps give me confidence whether it be to a job interview or to a meeting. Ever heard that your mentality can change to mimic your physical features? I truly believe that a smile can do this and that it helps to smile no matter the situation. I also think people believe you have to be serious and stern to be professional and I so strongly disagree with this idea. I’ve gotten so much more achieved with a smile than with a closed off/toned down persona, no matter the line of work. For real though, you may have prepared with color coded pens and post its, but its important to not want to just splutter out all the info you know just because you know it. Stop and listen, you’ll learn a lot and make the other person you’re with feel valued. I seem to have chosen careers where multitasking is king and there is too much going on to even know left from right. I HAVE to write things down. Now, that doesn’t mean that I can’t listen first and then go back and recap in writing. I also keep a running to do list that I constantly write things down on real-time when answering emails so I don’t lose anything, no matter how small. Create your network, build your career tribe. You won’t believe who knows who in this small world that can then take you to the next step in your work journey. 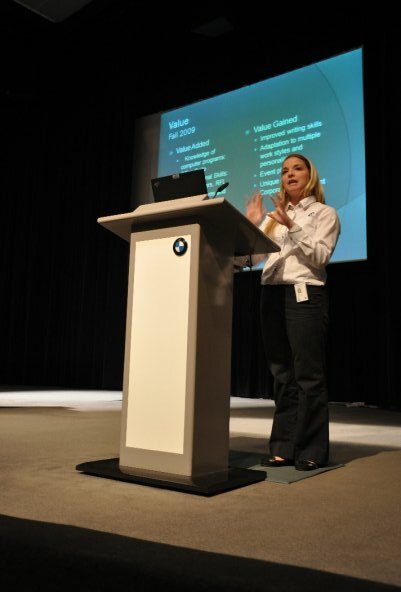 This is me doing my internship wrap up on stage at BMW during an internship my senior year of college! So there you have it folks! Now, if you’re looking for more tips or even just to explore the job market, head on over to the updated career search page at The Ladders. Let me know what you find! 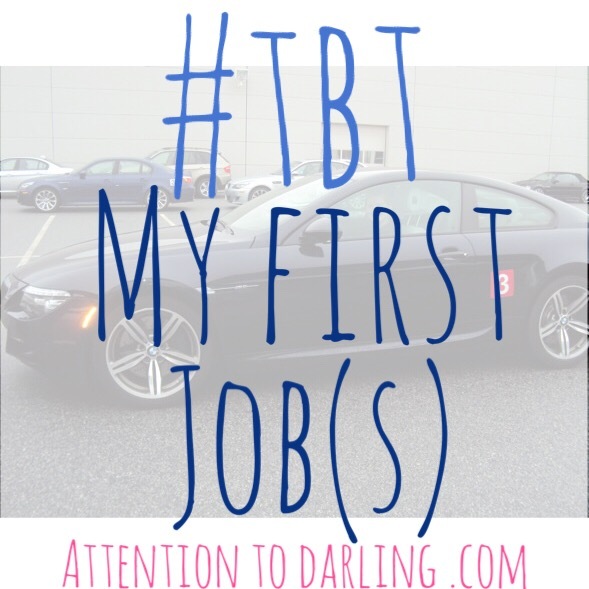 I love this topic, fill me in, what first jobs did you have early in your career? Any horrible experiences? What did you learn?